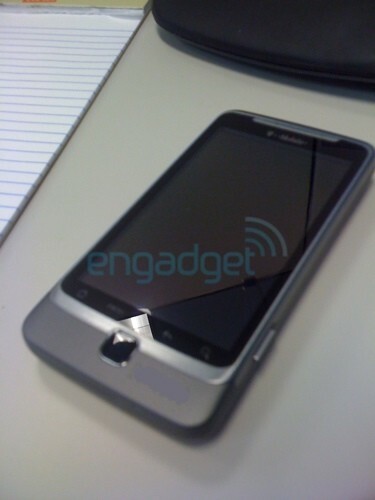 Exclusive: T-Mobile G2 in the wild! These shots of a real, live G2 confirm what we'd already suspected from renders: this is basically an Americanized version of the upcoming HTC Vision. What does that mean? Well, it means you can expect a 3.7-inch display paired with Android and a sliding QWERTY keyboard -- higher-end than the myTouch 3G Slide and a fitting successor to the trailblazing G1, if you ask us (though admittedly not quite as geeky as the model it replaces). Follow the break for another shot!